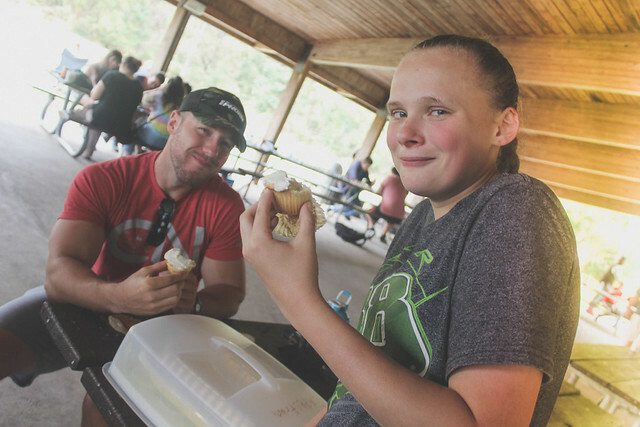 Core Creek Park was the place for New Hope Academy’s annual fall picnic, held on Friday, October 6th. Students and staff from both campuses gathered together to officially kick off the school year. The picnics are always a wonderful opportunity for everyone to get better acquainted, as well as a chance to welcome new teachers and students to NHA. Thanks to grill master Mark Beuerle, the hot dogs, hamburgers, and chicken were cooked to perfection. The salads, side dishes, and especially desserts were a favorite amongst the school. 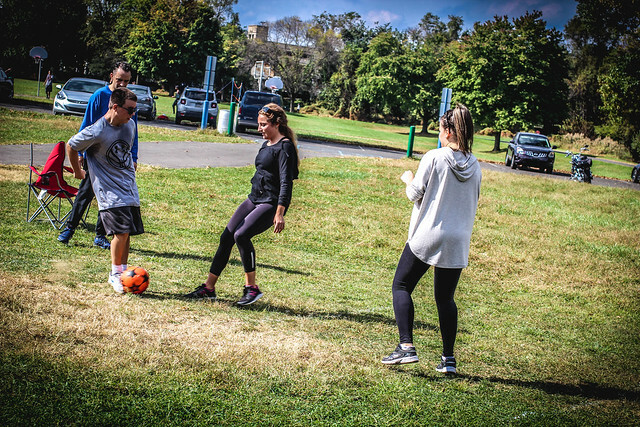 Students and staff passed the time playing football, soccer, and volleyball in the bright autumn sun. Others enjoyed the cool shade under the pavilion playing board games, chess, or various musical instruments. DJ Chris Cinalli provided the music, which brought many out to the dance floor. Adding to the fun was a raffle held by the theater department that benefits the upcoming fall drama, “Blithe Spirit.” NHA’s traditional fall picnic is a unique event that many look forward to — and once again, they were not disappointed!